Banking and the connected customer. 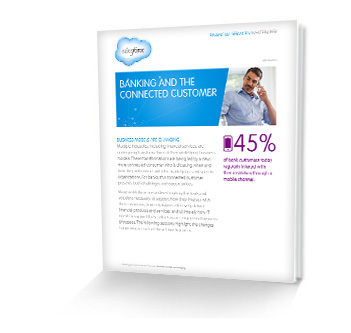 A well-executed "System of Engagement" strategy provides value to banks and customers. Approximately 45% of bank customers today regularly interact with their institution through a mobile channel, with estimates of 70% within a few years. Why it’s time to break down the System of Record and move to a System of Engagement. How this shift can increase customer satisfaction and create new business opportunities. Download the Retail Banking White Paper to get the full details on how a new approach to banking pays off for everyone.